Ek Ladki Ko Dekha Toh Aisa Laga is out now. 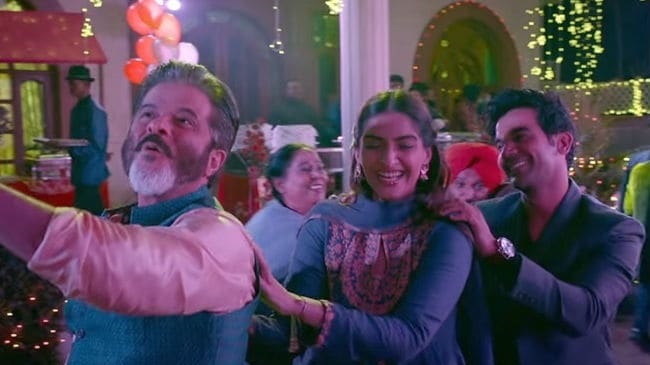 You will see Sonam Kapoor, Anil Kapoor, Rajkummar Rao and Juhi Chawla putting their magic in the movie. The movie is an unconventional story on love, romance and family. Jiska darr tha, wahi hua! the main plot is sidelined & the issue is been taken for granted! #EkLadkiKoDekhaTohAisaLaga is a benign take on homosexuality in subtle way with light hearted screenplay .It is a feel good movie being contemplated in the gamut of stymied subject. @sonamakapoor aptly handled the tender subject with her sheen presence .Going with ðŸŒŸðŸŒŸðŸŒŸ/5 . People need to go and see this movie. The story is simple yet so beautifully presented. Twitter Review Aap Sab Ko Kaisa Laga?